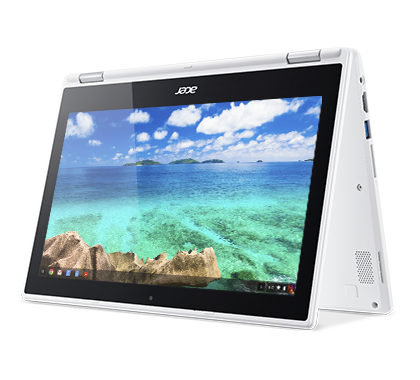 The 360° hinge features dual-torque technology, so the panel is very easy to open, but locks in place when you tap, swipe and pinch on the touchscreen – for wobble-free touch control. 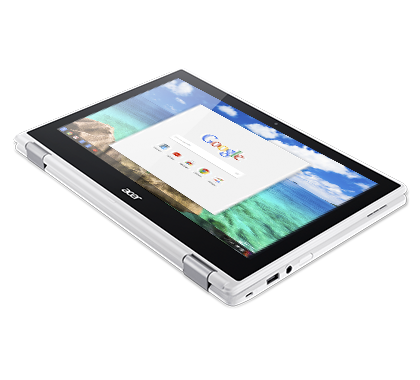 The panel senses when you place it upside down for “tent mode”, prompting the image and audio channels to flip over automatically. 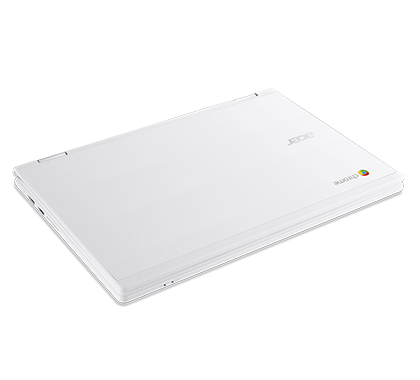 With the latest MIMO 802.11ac wireless technology under the hood, this Chromebook boasts very fast wireless connection speeds and longer signal ranges. 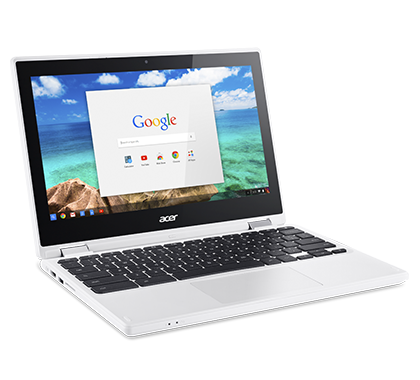 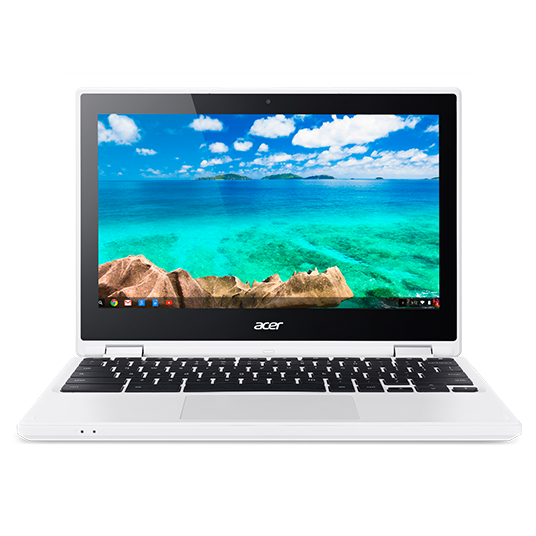 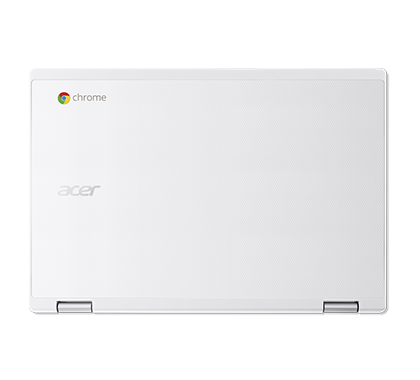 It also outperforms most other Chromebooks with its impressive Intel processor that’s based on Braswell micro-architecture, giving it the power to support another rarity for a Chromebook, a super-fast USB 3.0 port. 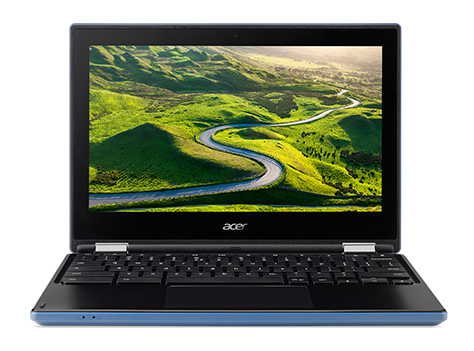 At just 19.2mm thin and weighing less than a mere 1.6kg, this stylish notebook floats like a butterfly and slips into your bag with ease. 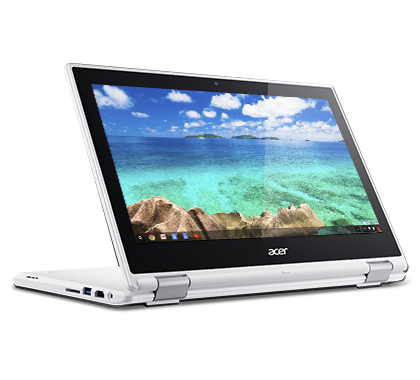 The Chromebook R 11’s built-in webcam supports High Dynamic Range imaging, for clearer photos and brighter video chats.